Tyora Moody. When Perfection Fails. Wyandanch, NY: Urban Fiction, 2014. Reverend Jonathan Freeman and his wife Lenora have been married for twenty years and they are the couple that other couples look up to in Charlotte, North Carolina. Lenora owns her own bridal shop where she plans extravagant weddings and provides the wedding dresses. Her husband Jonathan is just as successful, and has recently became the pastor of Victory Gospel Church. Victory Gospel Church was his father’s church and is one of the premier black churches in Charlotte. With the passing of the elder Reverend Freeman, Jonathan has inherited the church and responsibilities that come along with being the pastor of a prominent church family. However, there is even more greatness in store for Jonathan. The mayor has asked that Jonathan run for Charlotte City Council District 2 seat. The lives these two lead seem like ones to envy, but outsiders don’t get to see the turmoil that takes place behind closed doors. Jonathan is struggling with his new role as pastor of a “mega-church,” and whether to take the mayor up on running for the city council seat. He hasn’t even brought it up with Lenora yet as he knows that she is busy adjusting to becoming the first lady of such a big church. Jonathan just doesn’t know if his marriage will be able withstand an entrance into politics. When Lenora learns of Jonathan’s political aspirations from another source, will she stand by his side as their family is pulled even more into the spotlight? Lenora is dealing with her own secret – a secret that has been buried for decades. Lenora feels the strain that her marriage has taken and knows that revealing this secret will only place more burdens upon her relationship with her husband. Nevertheless, when faced with the reality that keeping this secret is threatening her life and her family, Lenora knows she must come clean in order to protect the man she has loved for years and the blessed life that God has given her. Will Lenora’s revelation cause more harm to her family and her relationship with her husband than keeping the secret? Is Jonathan willing to stand with Lenora just as he constantly requires her to stand with him? 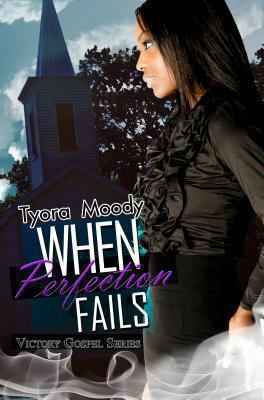 When Perfection Fails is the third novel in the Victory Gospel Series. If you are new to the series, check out our blog post on the first novel, When Rain Falls. Michele Andrea Bowen. Pastor Needs a Boo. New York: St. Martin’s, 2014. Reverend Denzelle Flowers is faced with a tough dilemma when three of his parishioners in New Jerusalem Gospel United Church in Raleigh, North Carolina lose their jobs. What can he do to help his flock? The only thing Denzelle can think of is to use money from the Pastor’s Aid fund. But, that money can only be used to fund activities for the Pastor’s Aid Club. Reinstating this club may be difficult since the past head of the organization, Mrs. Clara Mae Davidson, did not leave church members with a fond memory of her or the Pastor’s Aid Club. Nonetheless, re-instituting the club will solve the employment problem for these three parishioners and also help Denzelle to get started on his newest endeavor. However, for that to happen, Veronica Washington, Keisha Jackson, and Marsha Metcalf must be willing to serve on the committee. Convincing the three ladies that running the Pastor’s Aid Club is a worthy cause isn’t easy, but Denzelle gets them on board. The turning factor is that they’ll actually be helping run Reverend Flowers’ campaign for bishop. Pastor Denzelle may have solved the problem of jobs for his unemployed church members, but he has another problem on his hands. This problem comes in the form of the lovely Marsha Metcalf. How in the world is he supposed to fight the desire to turn in his playah’s card and “get “booed” up” with the epitome of a Proverbs 31 woman? Denzelle hasn’t slept around since getting saved and rededicating his life to the Lord, but that doesn’t mean he’s ready to put his heart into the hands of one woman for the rest of his life. He did that once and ended up with a woman who was a bigger player than he ever was. Reverend Flowers has some experience running away from what God has planned for him. As a young man, Denzelle pledged Kappa Alpha Psi in college and enjoyed great times with his fraternity brothers filled with drinking, beautiful women and anything else a handsome young man could get into. When God called on him to become a preacher, Denzelle instead wanted to go after his dream of becoming an FBI agent. Denzelle did get his dream of becoming an FBI agent but also found out that you can’t run from God and ended up a preacher as well. He soon retired and focused on pastoring. But, Denzelle hadn’t fully mastered the ability to hear and follow the plan the God has for his life. Denzelle married a gorgeous woman named Tatiana, against the advice of those who cared for him. Tatiana outplayed the playah and actually cheated on Denzelle; it turns out that she was just a gold digger who doesn’t have the ability to love anyone but herself. Now in his forties, you would think Denzelle knows better than to think he can set God’s plans aside until he’s ready to follow them. Yet, this pastor is avoiding the virtuous woman that God has placed in his path as if she’s a snake in the grass. Nevertheless, Marsha isn’t Denzelle’s biggest difficulty. He will face a multitude of obstacles in his run for bishop. Denzelle has made enemies among the corrupt clergy who will do anything to have their candidate win the one bishop spot that is coming open. Their plotting consists of imposing a new rule that would make it impossible for a divorced preacher to become bishop. Also, Denzelle’s ex-wife is back in the game and sleeping with Denzelle’s enemies in the hopes of gaining power and prestige for herself, as well as hurting Denzelle along the way. With enemies surrounding him, Denzelle needs a “boo” to stand by his side. Will Denzelle be able to put aside his playah’s card and fear of a good woman in order to receive the blessing God has planned for him? 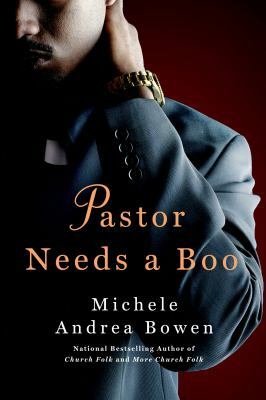 Pastor Needs a Boo is a funny and exciting tale of what can go on in the African American church scene. The author keeps it real, but also tasteful, in this story of a smooth Kappa man and ex-FBI agent turned preacher and the spurned but still faith-filled woman God has made for him. Joseph L. S. Terrell. Undertow of Vengeance. Rock Hill, SC: Bella Rosa Books, 2014. Harrison Weaver isn’t even over jet lag from his recent trip to Paris with his girlfriend Elly when a friend alerts him to a body in Nags Head Woods. His friend, Linda Shackleford, had been in the woods photographing its natural beauty; only later, when she was reviewing her photos, did she notice what appears to be a human arm. Linda fears returning to the woods by herself, so she asks Harrison to accompany her. Harrison knows he shouldn’t–the local district attorney resents his involvement in some previous high-profile investigations–but after he alerts Odell Wright, his friend in the sheriff’s department, he agrees to go. 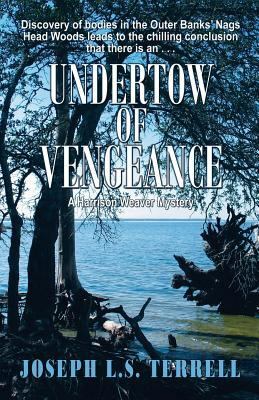 Weaver, Shackleford, and Wright find not one body, but two–a man and a woman. Each was shot just once, in a manner that suggests a cool, methodical killer. When a third person is killed in a similar manner, and Harrison receives taunting phone calls from the killer, Harrison knows that this killer won’t stop on his own. 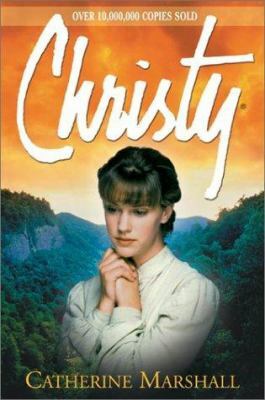 Because all the victims have a connection to a new church in town, Harrison and his friend SBI Agent Ballsford Twiddy focus in on the pastor and his deacons. But what would make one of these God-fearing people become a killer? Only when one victim escapes alive, does Harrison have the clue he needs. This is the fourth title in the Harrison Weaver Mysteries series. Filed under 2010-2019, 2014, Coast, Dare, Mystery, Novels in Series, Terrell, Joseph L. S.
Tessa Emily Hall. Purple Moon. Raleigh, NC: Lighthouse Publishing of the Carolinas, 2013. Selena Taylor’s life has been pretty dark since the day her father kicked her and her mother out of his life. She can’t understand how he could go from being her best friend to not wanting anything to do with her. Eight years later, Selena’s dark night may just turn into the starlit fairy tale she’s always dreamed of. Moving in with her aunt’s family in Lake Lure, North Carolina is not what Selena planned to do this summer, but it might be exactly what she and her mother need. Ever since they were kicked out, Selena has been taking care of her mom. But now an agreement has been made between the two: mom will go to rehab and Selena will stop smoking and drinking. Actually, Lake Lure isn’t looking too bad to Selena. She runs into someone she knew from when she was a kid, Austin Brewer, and he’s not such a nerd anymore, at least not to her. Austin and his sister Audrey soon talk Selena into joining in their church group activities. Of course she’s a little wary of church after how her hypocritical father, a preacher, behaved. Nevertheless, she goes with them and is soon having the time of her life with her new friends. Selena even begins to believe in God again. Now, if only she could avoid her cousin Whitney, then things might really start to look up. When Whitney breaks up with her boyfriend, Richard, and he turns his attention to her, Selena thinks life can’t get much better. However, she’s breaking her promise to her mother as well as skipping out on the church skit that she agreed to do with her friends. Also, what about her feelings for Austin? 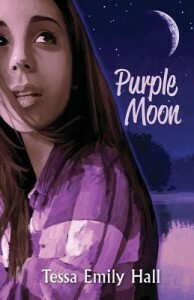 In the end, will Selena be able to find the purple moon in the darkness of her life? Purple Moon is Tessa Emily Hall’s first novel. 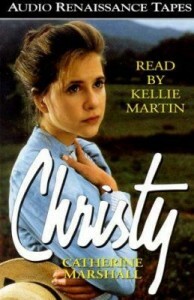 The author wanted to write Christian fiction that would appeal to teenagers. She succeeded. Both Christian teens and those struggling with Christianity will be able to connect with Selena’s story–the struggle to run away or to trust in a being unseen. Check this title’s availability in the UNC Chapel Hill Library catalog. Monique Miller. Redemption Lake. New York: Kensington Books, 2012. And it was all relative when she thought about it; a person’s perception was truly their reality. Marriage is a two-way street, and it takes plenty of effort and patience to resolve disputes and stave off conflict. Problems can erupt from a single source and branch off to create additional complications. Often, it’s tough to definitively pinpoint who is right and who is wrong. Redemption Lake covers three couples struggling to support their marriages. The spouses here have been pushed so far they can barely manage to talk to each other without contempt or anger, let alone hear what the other person is saying. Readers of Miller’s work will recognize Phillip and Shelby Tomlinson, characters from her first novel, Secret Sisterhood. 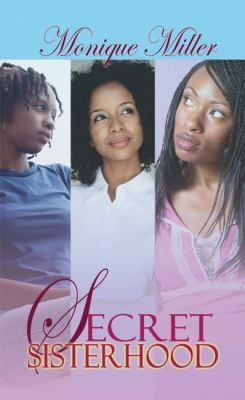 In Secret Sisterhood, Shelby and Phillip confronted their marital difficulties. After attending a marriage counseling retreat and helping with the couples’ ministry, Phillip has been tasked with leading a week-long retreat at a mountain resort for three couples, and Shelby has come along to help. Phillip is worried that he isn’t skilled enough to facilitate effective communication between the couples and guide them through their problems to a successful resolution. Based on the general profiles of each couple, this isn’t going to be an easy week for anyone. Charlotte Knight has been collecting proof of her husband Xavier’s infidelities meticulously. She knows, in secret, that Xavier visits a number of diverse sources to stray, from the Internet to a neighbor down the street. The news of her positive STD test was the final piece of evidence that pushed her over the edge. Beryl Highgate is fed up with her lazy husband Travis. He promises to find a job and pull his weight, but he never delivers. She’s exhausted from taking care of their children, their finances, and him. Something has to change. Beryl can’t take his excuses any longer. Pastor George Jones was surprised and embarrassed to learn of his wife Nina’s hidden gambling problem. Recently, he’s found out that her addiction has affected not only their finances, but also those of his church in Greenville, North Carolina. He has to find a remedy before her gambling destroys both of their lives. 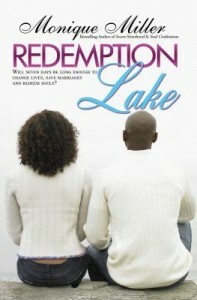 Phillip knows that there are always three sides to any story: “his side, her side, and the truth.” Novelist Monique Miller structured Redemption Lake so that readers will see the stories of the three couples from all angles. The novel is organized with brief prologue documenting the surface grievances of each couple. The remainder is largely broken up in chapters that rotate between the three husbands and Phillip, followed by the three wives and Shelby. Miller concludes with “the truth” as seen through Phillip’s eyes, observing the end of the retreat and the final outcomes among the couples. Miller doesn’t gloss over her characters and write a neat, happy ending for every couple. She sticks closer to the side of realism, where sometimes things work out but sometimes things are too far gone to fix. Monique Miller. Secret Sisterhood. Deer Park, NY: Urban Books, 2010. Infertility can be all-consuming. It’s a devastating setback for couples ready to start their families. Novelist Monique Miller writes a story of three women from different backgrounds united by their struggles with infertility. At first Shelby Tomlinson loved her job as a registered nurse with the Silvermont Women’s Center. Her patients’ happiness at their good news rubbed off on Shelby. She felt excited to come to work in such a positive atmosphere. That elation has fizzled out ever since Shelby and her husband Phillip started trying for a baby. They’ve tried for two years without any luck. Now, whenever Shelby deals with prenatal patients their good fortune depresses her. Suddenly, she feels a stronger bond with the patients who suffer from infertility too. However, her anxiety attacks, a lifelong problem, are increasing and Phillip has been distant whenever she broaches the topic of children. Shelby can’t figure out his odd behavior. Does he have a secret he’s hiding? In the face of all this stress, Shelby manages to find some hope when a patient struggling with infertility gets pregnant. Maybe Shelby still stands a chance at beating her infertility. Crystal Shaw wants to open a day care center of her own one day. She also wants to have a baby, but it doesn’t look like that dream is going to come true any time soon. Crystal is envious of the pregnant women around her, especially those who don’t seem worthy in her eyes. Everyone around her is getting pregnant, including her sister Shanice, who already has a baby with another man and refuses to work, relying on public assistance and her “Man of the Quarter” instead. Crystal is tired of breezily claiming that she’s not quite ready for kids. Even her work toward establishing a day care center is difficult. Spending all her time around children only reminds Crystal how she and her husband Warren, her childhood sweetheart, haven’t been able to conceive despite trying for years. Crystal starts thinking how nice a desk job might be so she could stop confronting the harsh reality of her childlessness. When she was young, Vivian Parker made a promise to her grandmother, Eva – a promise that she has managed to fulfill, and then some. Eva emphasized the importance of an education as a priceless investment. Once Vivian earned an education, she insisted, it could never be taken away. After Eva passed away, Vivian focused all her energy on her grades and her career. She obtained her bachelor’s and master’s, eventually becoming a successful and esteemed architect with careful planning and hard work. But she’s behind on her plans for her personal life. By thirty she assumed she would be married, and then a child or two would follow shortly thereafter. Instead, Vivian didn’t get married until thirty-eight. Her husband Roland is the CEO of the company Vivian works for. Together, they’re a powerful couple professionally. But now that they’re more serious about having a baby, they learn that even though they can bankroll expensive procedures like in vitro fertilization, they still might not be able to fight time. Faith is a central element to Secret Sisterhood. Shelby, Crystal, and Vivian turn to their religion to strengthen themselves in the midst of hardships. 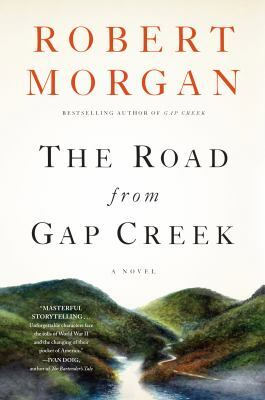 Miller breaks the story up, chapter by chapter, alternating the perspectives of the three main characters, although she also creates some areas of overlap and interconnection between the women during their journey to become mothers. Jason Mott. The Returned. Don Mills, Ont: Harlequin MIRA, 2013. If someone you loved came back from the dead, exactly as they were before they died, would you want them back in your life again? That’s one of the many questions Agent Martin Bellamy asks Lucille and Harold Hargrave. People around the world have begun to return from the dead suddenly and without explanation. Agent Bellamy works for the International Bureau of the Returned, an organization that was shaped up hastily in the wake of this new phenomenon. 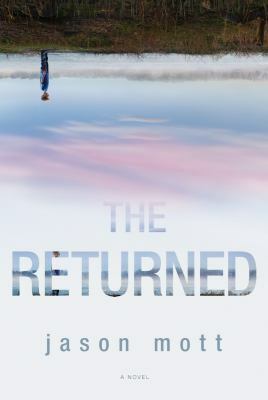 The Returned seek out their families and friends and the Bureau helps reconnect them to their loved ones. Despite the Bureau’s involvement, they are just as baffled as the rest of the world. In truth, the Bureau has simply been “counting people and giving them directions home,” plus filing some paperwork in the process. The Returned can appear anywhere, at any time. Lucille and Harold’s eight year-old son Jacob is found in a village near Beijing. On August 15, 1966, Jacob Hargrave died on his eighth birthday. His death was accidental and tragic. Since Jacob’s passing, his parents sidestepped their grief. Instead of acknowledging their pain, Lucille and Harold avoided the topic. Decades later, when Jacob reappears, Harold can’t recall Jacob’s name. In his advancing age, Harold has started shrinking, a factor he attributes to his recently curbed smoking habit. By contrast, Lucille has remained in comparably solid physical shape for her age. But nothing makes Harold feel his age so much as the newly returned Jacob, preserved as an eight year-old. Lucille eases instinctively back into her role as mother, though her behavior surprises her. Still Harold and Lucille’s faded memories and the awkward gap between their old age and Jacob’s youth reveals the difficulty of passed time. Suspicions, particularly on Harold’s part, that Jacob is not a real living and breathing person doesn’t help matters. Although Harold and Lucille have been reunited with their son, it won’t be easy to pick up right where they left off. Their reunion is not an insular event though. As the numbers of the Returned increase, people start to speak out against the “miracle.” The True Living Movement was founded as a campaign to support the living. It tended to attract anti-government enthusiasts. Supporters of True Living are concerned with reestablishing the natural order of the world, which means sending the Returned back to where they supposedly belong. Although True Living is more extremist in its approach, the US government is equally uneasy about the Returned. The government’s mandates for the Returned increase quickly from home confinement to containment in special camps. Tensions mount as small-town Arcadia, and the world, is ripped apart, seam by seam, from the panic surrounding the Returned. 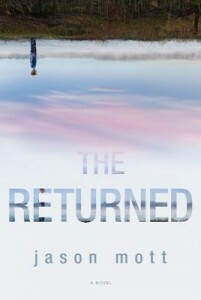 The Returned is poet Jason Mott’s first novel. Mott has written two poetry collections previously. He holds a BA and MFA in creative writing from UNC-Wilmington. His novel was selected by Plan B, Brad Pitt’s production company, to be adapted into a television series. Mott’s background as a poet is obvious; his writing is lyrical and sophisticated. The novel is told in the third-person with standard enumerated chapters, but Mott intersperses the central story and its chapters with vignettes of the Returned. Mott also forms convincing relationships and connections between his characters, like the playful jabs between Lucille and Harold and Jacob’s goofy jokes. Don’t read the novel expecting pure science fiction or detailed answers at the end. There are no satisfying answers here. Mott explores memory and time as well as loss and second chances with loved ones. Check this title’s availability in the UNC-Chapel Hill Library catalog. And read this article from The Daily Tar Heel to learn more about the inspiration behind Jason Mott’s novel and his writing process. John Milliken Thompson. Love and Lament. New York: Random House, 2013. Death trails fast on the heels of the Hartsoe family. 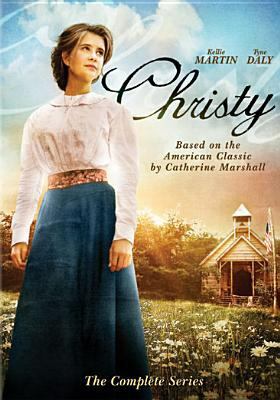 At age six, the youngest Hartsoe, Mary Bet, mistakes a circuit rider for the Devil. She cowers in the shadow of the Devil on horseback with hobnail boots and a black handlebar moustache. Soon after the encounter, Mary Bet’s eight other brother and sisters and her mother begin dying off, one by one, as if in a orchestrated funeral procession. Mary Bet believes that the Hartsoe family is cursed. But her generation and her father’s clutch to life during one of America’s more trying, transitional phases – Reconstruction. Mary Bet’s father, Rezin Cicero, or R.C. for short, fought in the Civil War and wants to distance himself from the memories of battle. However, the constant reminder of his peg leg makes moving on a challenge. His miserly father, Samuel Hartsoe, withheld the family business from him. Samuel believes that R.C. should learn and labor to generate his own fortune. R.C. manages a general store and married one of William “Captain Billie” Murchison’s daughters, Susan Elizabeth. R.C. and Susan Elizabeth’s marriage tangles the family trees somewhat awkwardly. Samuel Hartsoe still feels lingering indignation that his father, John Siler, sold the Hartsoe family home to the drunken and vulgar Captain Billie rather than bequeathing it to him. As R.C.’s children and his wife die by a seeming string of dumb and simple misfortune, his faith flags. He rejects what others mourn as God’s will and he descends into madness. His youngest daughter, Mary Bet watches guiltily while R.C.’s body and mind decay. 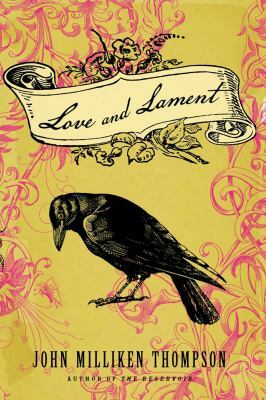 Love and Lament is a story concerned with the tension of family relationships, community exchanges, and constant hardships. Meanwhile, Mary Bet, the story’s heroine, matures as the broken, war-torn South ushers in new industrialization and alterations in established values at the turn of the century. Mary Bet was born the year the railroad arrived in Haw County, a loosely fictionalized version of Chatham County. Mary Bet is a figure of the New South and a liminal character. She struggles to unshackle herself and move beyond the past. In her will, Mary Bet’s mother Susan Elizabeth deeds her jewels to her prettiest daughter, her silver to her most ambitious, and the family Bible to Mary Bet. Her mother’s gift appoints Mary Bet as the keeper of the Hartsoe family history. And fittingly so — Mary Bet is the only one of R.C. and Susan Elizabeth’s children to enter adulthood after all. From the rubble of the old world, Mary Bet emerges as a modern woman. Novelist John Milliken Thompson spins a family saga rooted in the Southern Gothic tradition that spans from Reconstruction to World War I. The grief of the Hartsoe family echoes the changing climate of post-Civil War South. Thompson relates his story with mesmerizing and authentic detail that evokes great pathos for the Hartsoe clan. His rendering of Mary Bet from age six to age thirty rings true. With Mary Bet and the rest of the Hartsoes, Thompson accentuates how memory and history can haunt us, from the past long into the future.